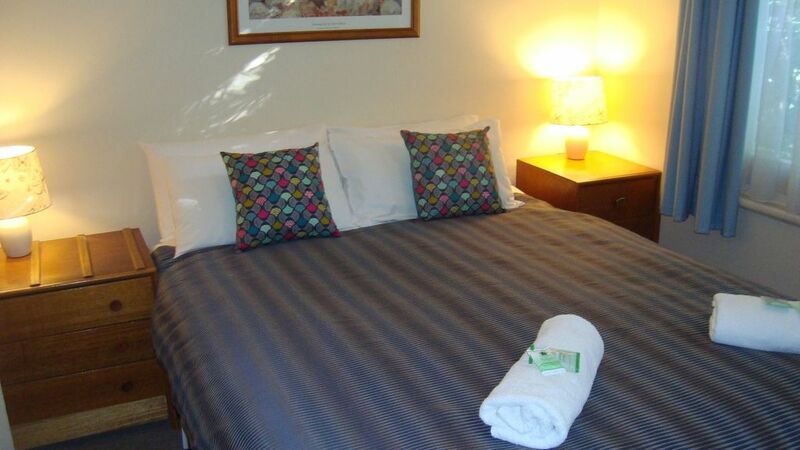 Elm Lodge Unit 4 - our One Bedroom Unit has a queen in the bedroom and 2 singles in the lounge, bathroom with shower. Kitchen has fridge, kettle, toaster, microwave, electric fry pan and electric sandwich maker, plus cutlery, crockery etc. Linen and towels supplied.